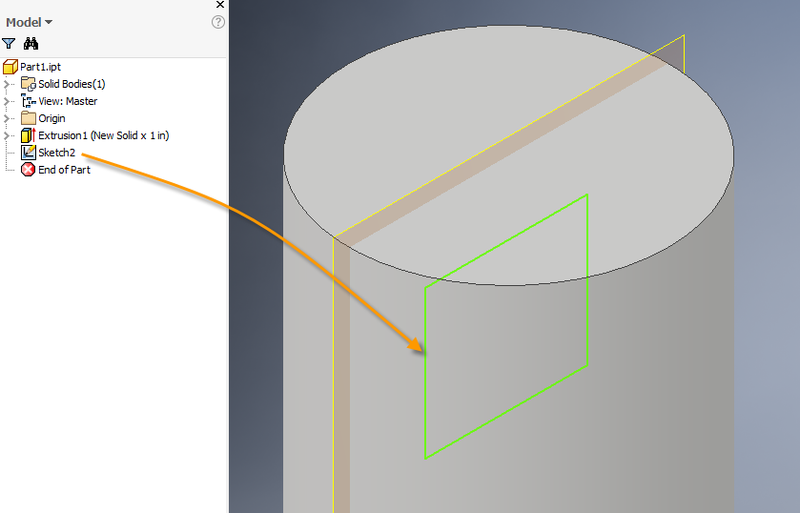 The other day I was scrolling through updates on LinkedIn and I came across a posting about a new feature in Autodesk Inventor 2017. Although I had already taken some time in the past to review “What’s New”, I just wanted to see what this article had to say. Within a few words, my first thoughts were, how did I missed this? It’s such a great tool that many users will benefit from it. So I went back to my original 2017 notes and I couldn’t find anything regarding it. I even checked the on-line help and it’s not listed in the “What’s New” section or even in the help section where it should be. I also emailed a few of my Inventor colleagues and their response was “I didn’t know anything about it either”. So at this point I’m wondering how many others in the Inventor community actually know about this great feature. This new feature I’m referring to is called “controlling the opacity/transparence of a sketch in a shaded model”. In the past when you needed to create a sketch (that was inside of your part), you had to perform a slice graphics (F7) in order to see your sketching entities. Now with 2017 you have the ability to adjust the opacity/transparence of your sketch so you can see it through your (shaded) solid model. For my test part, I created a sketch (Sketch2) on the origin workplane that is shown. As you can see my sketch is not shown. Now I will adjust the settings (or use this new function) to 70% (or whatever setting works for you) and presto my sketch now appears. Meaning there’s really no longer the need to use slice graphics when I’m creating an internal sketch or trying to edit one. This new feature or the control of this feature can be found in Application Options/Sketch Tab. Discovery source can be found here.